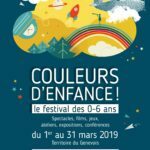 You can also enjoy some fantastic kids activities with your little ones in Carouge (read here), which include story-telling, shows and baby music and are all free of charge ! Remember that some activities require advance booking by phone or email, so do it now as places are limited. 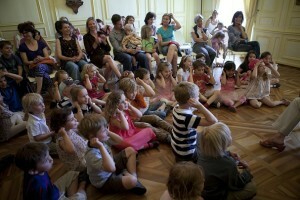 And for all parents in Geneva, don’t miss the free multilingual story-telling, flower workshops and dance shows that will be taking place in the city’s public libraries until the end of March 2013 (click here for more info). Book your places now for some of the workshops as they get booked up fast ! 1st -3rd February 2013: the Carnaval des Enfants in Bulle – Canton Fribourg, only 1 hour and a half from Geneva – is a fantastic day out for the whole family, especially if your little ones love to dress-up…(wait a second – where’s my Buzz costume again ??!) The Carnaval de Bulle is famous for the kids parade on Saturday at 2.30pm, but the free Sonia Grimm concert at 3pm on Sunday is also worth the visit. Saturday 2nd February 2013: Le samedi des bibliothèques vaudoises, a special open day dedicated to families and all book-lovers who will be able to visit their favourite libraries in Canton Vaud on Saturday 2nd of February. The programme will include book sales, workshops, story-telling and much more, click here to download the full programme. Sunday 10th February 2013: “Contes à reBourg” at the café théâtre Le Bourg in Lausanne. If you live near Lausanne and have felt a bit short of ideas on what to do with your little muffins on a Sunday, take a look at this great new programme of tales and story-telling for children aged 6 and over. Sessions begin at 3.30pm on Sundays, but the theatre’s bar opens at 3pm. Each tale encourages the little ones to take part, discuss and help develop the storyline so it sounds like great fun ! Sunday 10th February 2013: Free Gruyère-making demonstrations will be taking place every Sunday from 12.30pm to 3pm until the 24th of March at La Maison du Gruyère in Pringy. These demonstrations show how the famous Swiss cheese used to be made on a wood fire and they are free of charge. If the weather is too cold, the sessions will be cancelled so make sure you check the weather report before setting off. 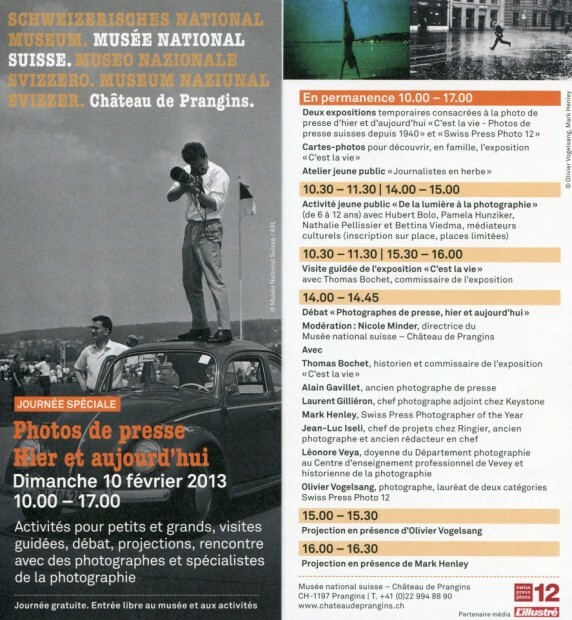 Sunday 10th February 2013: Open day at the “Photos de presse” exhibition from 10am to 5pm at the Château de Prangins with free entry for all and great activities for the whole family. At 10.30am and 2pm there will be photography workshops for kids aged 6-12 as well as free guided tours and press photography talks in French for adults. until 10th February 2013: the Festival Antigel in Geneva has taken the city by storm. A distillery, a greenhouse, a cathedral, a train station and a swimming-pool are just some of the city hotspots where you’ll be able to enjoy great live music, dance events, sport and exhibitions. As the official websites says, all you have to do is turn up to “discover a 16 days journey through crazy locations with international-class artists”. 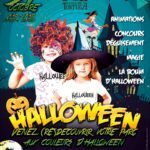 Some of the events that you’ll be able to enjoy with your children include the “Lumière(s)” light installation at the Villa Bernasconi in Petit-Lancy, “The Maze” at Pointe de la Jonction and the “Descente du Phare” at the Bains des Pâquis, where a group of Givrés daredevils will jump into the freezing lake and swim around the lighthouse. 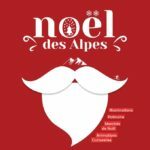 20 of the city’s communes will be taking part to offer some spectacular entertainment so check the official website for tickets and the full day-by-day programme. 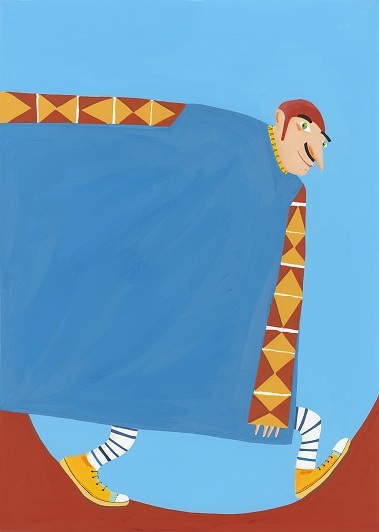 until 10th February 2013: “La véritable histoire d’un bonhomme carré qui tournait en rond” a sweet, surreal puppet show for kids aged 4 and older at the Théâtre des Marionnettes de Genève (3 rue Rodo). Check the website for showtimes. 11th-15th February 2013: holiday camps at the Les Ateliers de Comédie Musicale de Genève. Do you have kids aged 8 and older who just love dancing and singing on the stage ? 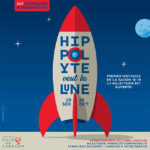 If so, they will love a holiday camp at Geneva’s stage school Les Ateliers de Comédie Musicale (in French) – from 9am to 4.45pm they will learn the ropes with Le Roi Soleil and Mamma Mia ! 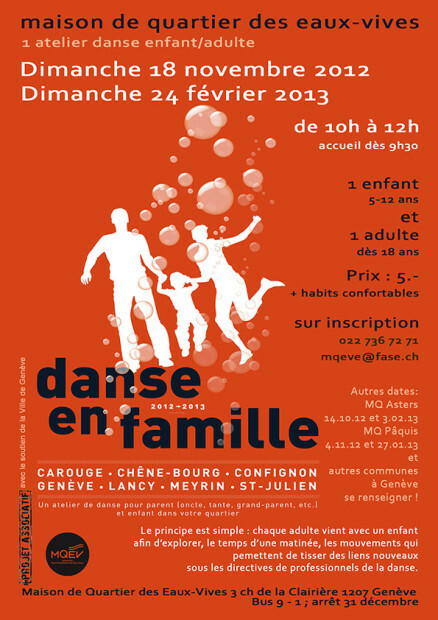 from 13th of February 2013: don’t miss the fantastic kids shows and family activities that are offered for free in Carouge, read our previous post to find out all about it but hurry as places are limited and they must be booked in advance. 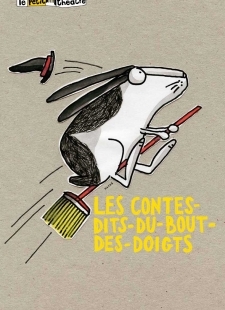 16th-17th February 2013: “Contes-dits-du-bout-des-doigts” a theatre show for kids aged 5 and older at “Le petit théâtre” in Lausanne. This is story-telling at its best, fun and adorable. There are 2 shows on Saturday (at 2pm and 5pm) and 2 on Sunday (at 10am and 3pm). 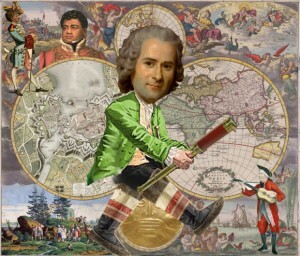 16th February-3rd March 2013: the 8th Festival du Film Vert will be taking place in 24 towns in Suisse romande and France, including Bienne, Châtel-St-Denis, Cossonay, Couvet, Echallens, Fribourg, Genève, La Chaux-de-Fonds, La Neuveville, Lausanne, Lausanne-Agrobiorama, Le Noirmont, Le Sentier, Moudon, Nyon, Orbe, Renens, Sion, Verbier (Le Châble), Yverdon-Les-Bains, Ferney-Voltaire, St Julien en Genevois, Vulbens. The main focus of this film festival for teens aged 14 and over is sustainable development and how to preserve our planet’s precious resources. We loves. Sunday 17th February 2013: Dimanche des Jeux at La Barje des Volontaires in Geneva (26 rue de la Coulouvrenière). From 2pm, bring your favourite games and share a good session with friends – who knows, you might make new friends along the way too ! 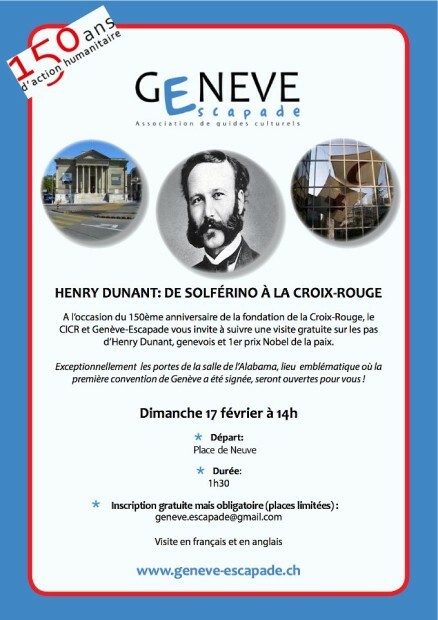 Sunday 17th February 2013: a free guided walk in Geneva to celebrate the 150th anniversary of the Red Cross on the footsteps of Nobel Peace prize winner & famous Genevan Henri Dunant. On this occasion only the doors of the salle de L’Alabama, where the first Geneva convention was signed, will be open to all those taking part in the guided walk. The guided tour will be in French and English, meeting point is the Place Neuve at 2pm – don’t forget to register and book your free place at geneve.escapade@gmail.com ! Tuesday 19th February 2013: “Chasse au trésor” atelier vacances in French at the Château de Prangins (VD) for kids aged 7-12. Let your tiny explorers take part in this fab treasure hunt in one of Switzerland’s most beautiful castles. From 2pm to 4.30pm snack is included in the 10CHF ticket price. Places must be reserved in advance at 022 994 88 93. 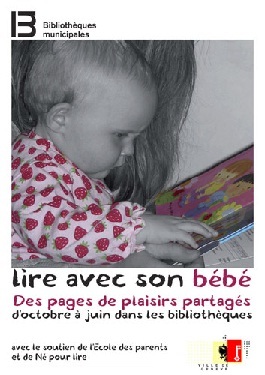 Tuesday 19th February 2013: “Né pour lire” (literally “born to read”) is an initiative to help parents introduce their babies to the joys of holding, feeling and reading a book. This session will take place at the BiblioQuartier des Grands-Hutins on rue de la Tambourine 3 from 10am to 10.45am. The “Né pour lire” story-times are free of charge and open to little ones aged 6 months to 4 years-old accompanied by an adult. 19th February-3rd March 2013: Semianyki a clown show for kids aged 8 and over by the famous Russian clown company Licedei. Shows will take place at the Théâtre de Carouge (39, rue Ancienne) and are guaranteed to be great fun: surreal and quite irriverent too ! Click here for a little video taster. 19th February-10th March 2013: “Nos amours bêtes”, a dance, music and theatre show for kids aged 6 and over at the Theatre Am Stram Gram in Geneva. Click here for exact showtimes and a video preview of this lovely show. Wednesday 20th February 2013: “Petit rendez-vous” at 3.15pm at Geneva’s MAMCO for children aged 5-10 accompanied by an adult. These interactive modern art tours are great fun as well as free-of-charge. No previous booking is required so why not give it a go ? The next ones will be on the 27th of February 2013 always at 3.15pm. Wednesday 20th February 2013: “Pims voudrait un robot” a theatre show for kids aged 3 and older at Catalyse (Rosemont 14, Geneva). These shows are a fun, interactive way to get your little ones involved with philosophy & life’s big questions and are followed by a free snack for all children, the next show “La Grenouille de l’espace” will be on the 20th of March 2013. Tickets are 10CHF per child and 15CHF per adult, places must be booked in advance at info@catalyse.ch, tel 022 700 64 75. 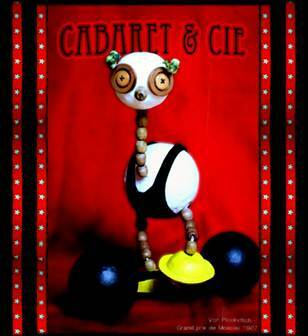 20th-21st February 2013: “Les Mangeurs de Lapin – Humour et music-hall” a kids show that combines music, cabaret and circus with a lot of humour too. Showtimes are 8.30pm on Wednesday and Thursday at the Salle communale d’Onex (131, route de Chancy – Onex). from Thursday 21st February 2013: have you always wanted to learn how to make beautifully decorated cupcakes ? If so, take a look at our previous post. 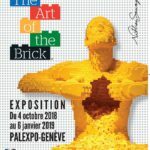 If you live in Lausanne, Le Royaume Melazic offers great workshops for all levels on Thursday evenings, Saturday mornings and Wednesdays at 2pm. Thursday 21st February 2013: “Contes d’amours et de désirs”, a reading for teenagers and adults at the Bibliothèque de Forum Meyrin (1, place des Cinq-Continents, Meyrin) starting at 8.30pm. Christel Delpeyroux will bring to life a series of short stories about women, written by women that are funny, engaging and romantic. Free entry and no booking required – what a great idea for a mum & daughter night out ! from Thursday 21st February 2013: Ho Bina ! Music & movement classes are starting this week at the Music School of the International School of Geneva – La Châtaigneraie campus in Founex. HO BINA! brings children together in a shared discovery of music and movement. Each child plays, sings, speaks rhymes, moves and grows together musically with their parent in a warm, friendly, child-centered atmosphere. Here’s the list of classes that are available at the moment, for full details and prices visit the school’s website:Chaffinch 6–18 months on Thursdays from 11.15am to midday: At this first stage, classes support a baby’s growing social awareness, discovery of touch/texture and responses to sound, rhythm, verbal and visual stimulus. Whether it is making sounds with objects or clapping, engaging in simple rhythm games, exploring playful physical activities or experiencing the delight of being sung to, this first stage of our classes establishes a shared joy in participating in music together.Cuckoo 18 months–3 years on Thursdays from 10.30am to 11.15am: As a child grows in physical co-ordination and confidence, the classes explore increased independent movement within all the activities, whilst continuing to encourage all the key developmental areas of our earlier class. 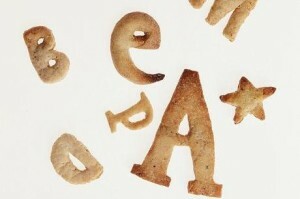 Early language skills are developed through imitation of sounds, use of rhyme and patterns. Games become more interactive and children begin to make music together, developing their listening skills and awareness of others.Snowy Owl 3–4 years on Tuesdays from 2pm to 2.45pm: With their verbal skills developing rapidly, children explore language and song with increased ability, confidence and enthusiasm. They begin to enrich their understanding of human emotion as they discover how songs and movements have different moods, feelings and energies. Activities also encourage the child’s ability to play with their peers and develop awareness of the skills needed for basic interaction. Woodpecker 4–5 years on Tuesdays from 3pm to 3.45pm: At this stage, classes are specifically designed to harness the growing creative, imaginative and narrative skills of the child. Physical, musical and language skills are combined in increasingly sophisticated ways. Music and movement are joined together in the creation of stories that the children share with each other. Musical awareness becomes more conscious as the child develops early music-reading skills through the use of symbols and visual patterns. 22nd-23rd February 2013: “Et le château sera pour toi” puppet show for children aged 5 and older at the Théâtre Micromegas in Ferney Voltaire (24 bis rue de Meyrin – Ferney Voltaire – France). This is a fairy-tale inspired by a traditional story from Puerto Rico that will keep the little ones glued to their chairs ! Showtimes are: Friday at 5pm and Saturday at 3pm. 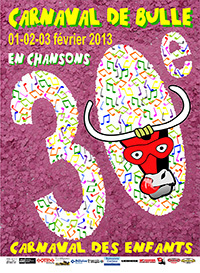 Saturday 23rd February 2013: Carnaval Party at the Bains des Pâquis in Geneva. From 4pm to 9.30pm why not celebrate carnival in one of Geneva’s best-loved spots, with great views of the lake and a fun, relaxed atmosphere ? Check all the event’s details on their facebook page. Saturday 23rd February 2013: story-time in English at the Off-the-Shelves bookshop in Geneva (15 bvd Georges Favon). The sessions start at 10.30am and take place on the last Saturday of every month – don’t miss the special discounts on kids books purchased during storuytime sessions (10am to midday). Saturday 23rd February 2013: “Né pour lire” free story-telling session for kids aged 6 and older at the Bibliothèque de la Servette in Geneva (Rue Veyrassat 9). This session is very special because story-teller Casilda will be performing her reading in 3 languages: French, Spanish and English, so don’t miss “Tesoros escondidos / hidden treasures / trésors cachés” – all you have to do is be there at 3pm, sit down and enjoy it ! Free entry. 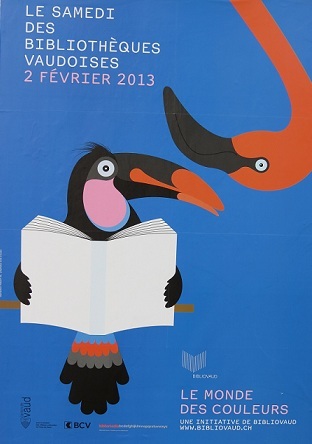 Saturday 23rd February 2013: “Né pour lire” free story-telling session in French for little ones aged 0 to 5 at the Bibliothèque de Forum Meyrin (1, place des Cinq-Continents, Meyrin) from 9am to 9.45am. Free entry, no booking required and everybody’s welcome ! Saturday 23rd February 2013: “Mr Ploc” a sweet theatre show for children aged 2 to 5 years-old at the Madeleine des Enfants in Geneva (16, place de la Madeleine). Show starts at 3pm and tickets are only 5CHF but you must book in advance online or by phone at 022 810 18 90 as they only have 60 places available. 23rd-24th February 2013: “Nanukuluk, l’enfant sauvage” theatre show for children aged 8 and older at La Julienne (Rte de Saint-Julien 116) in Plan-les-Ouates. This show tells the story of a little boy raised by a bear and is loosely based on the movie «L’enfant qui voulait être un ours». On Sunday you can also have brunch at the Café Julienne. Showtimes are 3.30pm on Saturday and 11am on Sunday. 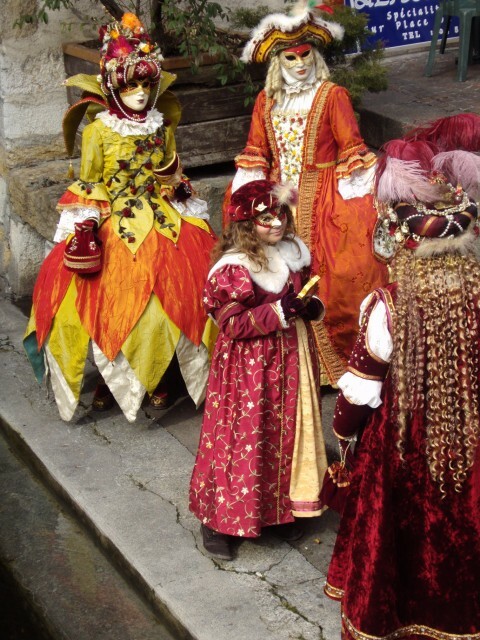 23rd-24th February 2013: don’t miss the Venetian Carnival in Annecy, a beautiful French town known as “the Venice of the Alps” for its canals and historical charm. Read our previous post to find out all about it. 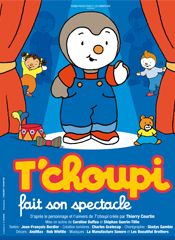 Saturday 23rd February 2013: T’choupi fait son spectacle, a lovely musical show for very little ones from age 2 about the well-loved T’choupi character, at Geneva’s Théâtre du Léman. Showtimes are 2.30pm and 5pm. 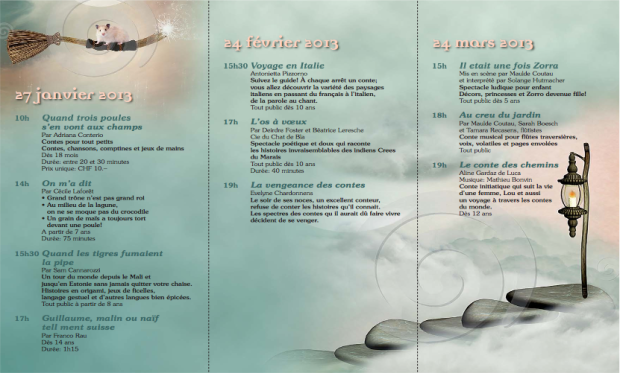 Sunday 24th February 2013: Fête des Lanternes from 4pm at the Fondation Baur in Geneva (8 rue Munier-Romilly). Celebrate the close of Chinese New Year with a magical guided tour of this unique museum, where the little ones will be mesmerized by fascinating legends of the Far East in the flickering light of small lanterns. From age 6, advance booking is required at 022 704 32 82. Sunday 24th February 2013: Les dimanches du conte at the Théâtricul in Chêne-Bourg (64, route de Genève) are part of the Swiss Tales initiative. 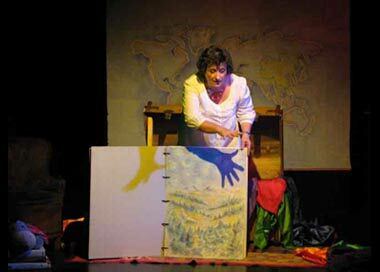 From 3.30pm let your imagination be guided by some fascinating story-telling for children aged 4 and older, starting with “Voyage en Italie”. The 7pm session entitled “La vengeance des contes” is only for kids aged 14 and older. 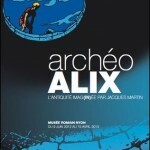 until 24th February 2013: “Matière à rétro-projeter” at the Rotonde, Vallée de la Jeunesse in Lausanne. This is a fantastic interactive exhibition for kids aged 5 to 12 by the Centre Pompidou in Paris. 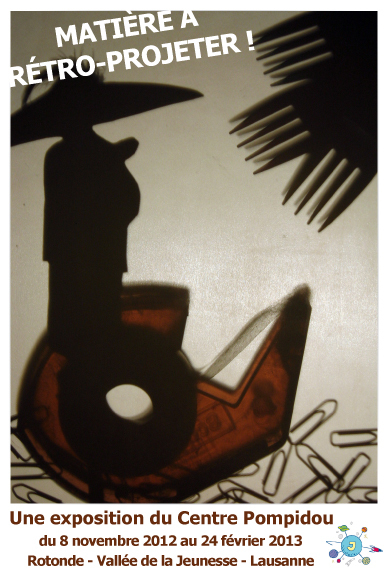 Childen are invited to play with light and create fascinating scenarios with their shadows projected onto a wall. A unique opportunity for your little ones to explore the concepts of matter, shapes, colour and transparency. 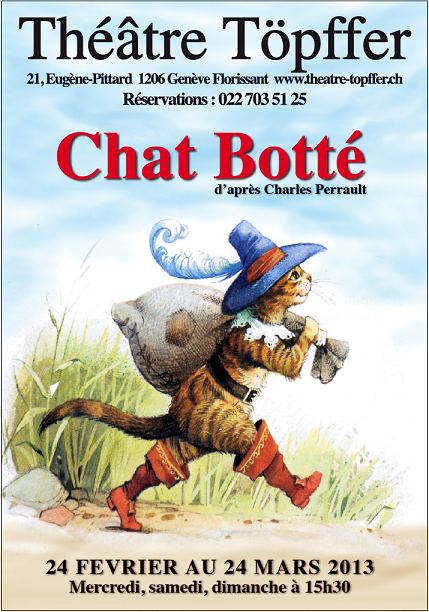 24th February-24th March 2013: “Le Chat Botté” the classical Perrault’s tale will be brought to the stage at the Théâtre Rodolphe Töpffer in Geneva. Read all about it in our previous post. 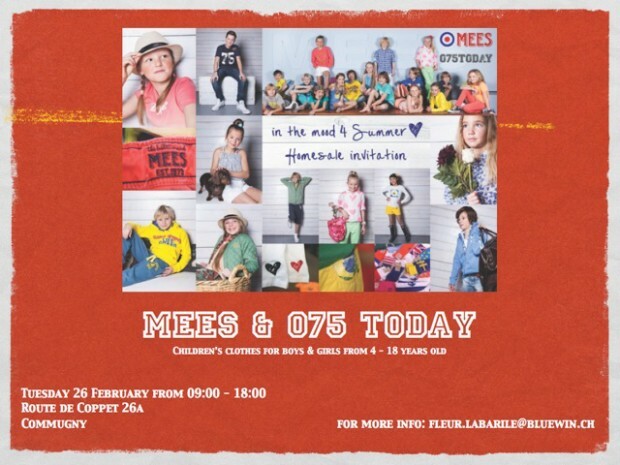 Tuesday 26th February 2013: Mees & 75 Today special sale of kids clothes in Commugny (26a, route de Coppet). Starts at 9am until 6pm, here’s the invite with all the info, don’t miss it ! 26th-27th of February 2013: “Les ours dorment enfin”, a poetic thatre show for kids aged 8 and older at the Théâtre Forum Meyrin in Geneva. Show starts at 7pm and lasts one hour – so they can still make it to bed on time ! 27th February-3rd March 2013: “Jacques et le haricot magique” puppetshow from age 4 based on the great “Jack & the Beanstalk” classic at the Maison des Arts et de la Culture in Plan-les-Ouates (116, Rte de Saint-Julien). Showtimes are 2.30pm on Wednesday and Saturday; 11am, 2.30pm and 4pm on Sunday. 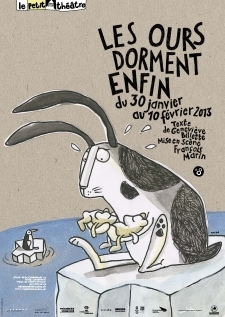 Wednesday 27th February 2013: “Encore une minute !” a puppetshow for kids aged 3-9 at the Espace Fusterie (18, place de la Fusterie) in Geneva. Tickets are only 3CHF per child (free entry for adults) and no booking is required. Show starts at 3.30pm so don’t be late ! Wednesday 27th February 2013: “Contes de la sardine” read by Lorette Andersen. From age 6 at the Société de Lecture de Genève (11, Grand’Rue). Read all about it here. The exhibition “Universe of Particles” at the iconic Globe of Science and Innovation will plunge the little visitors into the fascinating world of the tiniest and biggest particles which make up our universe. From walking through luminous spheres to exploring CERN’s legendary accelerators physics has never been more engaging ! Admission to “Universe of Particles” is free, from Monday to Saturday 10am-5pm at the Globe of Science and Innovation in Meyrin. 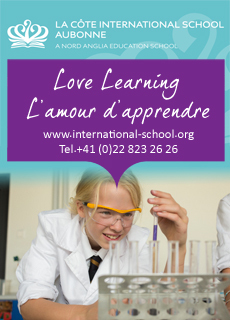 Click here for the exhibition brochure. until 24th February 2013: visit the Food exhibition at the Ariana Museum in Geneva (10 avenue de la Paix) to learn more about the future of food & agriculture as we know them. Visit the museum’s website to find out more about guided tours and talks.